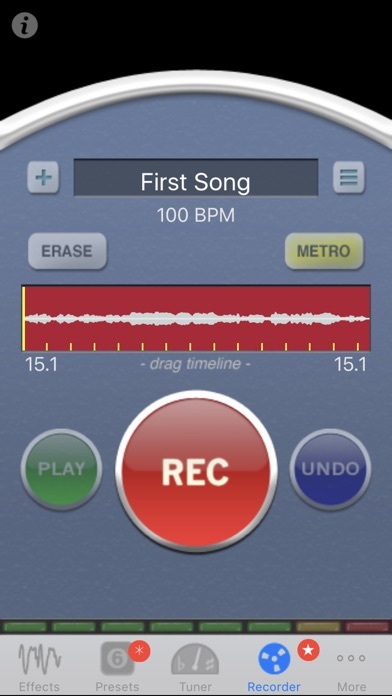 Not only is this app outdated but they make you pay to use the recording feature. Needs audiobus support! this is one fun app...i created an itune playlist of jamtracks and ishred has access to them from within the app...practicing and jamming from my iphone and ipad...too much fun....only quibble is with the looping of the songs....getting a perfect seamless loop is not as easy as it should be...but thats only a problem for short jams where you want the song to loop , for longer tracks/songs it doesnt bother me....hope they fix in an update...otherwise a very cool app for guitar players!!! Have use this app over the years. App is really good up until this recent update 5/16/17, D-O-A. It would not load and keeps crashing. Great for practice ... Love the recorder easy to use. Works awesome 82% of the time. 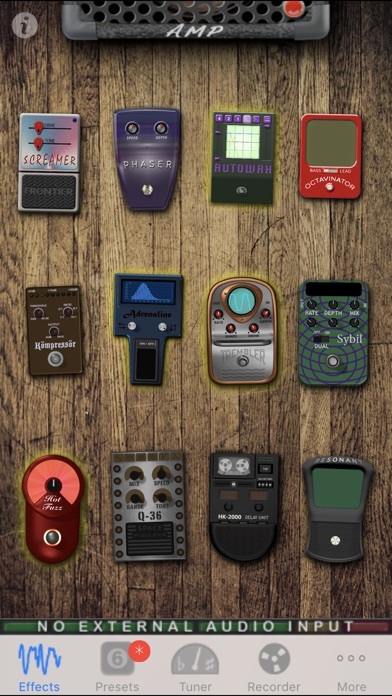 Sometime cuts out a little bit and some of the pedals are marginal...I use a peavey interface, maybe I should upgrade to irig or apogee... 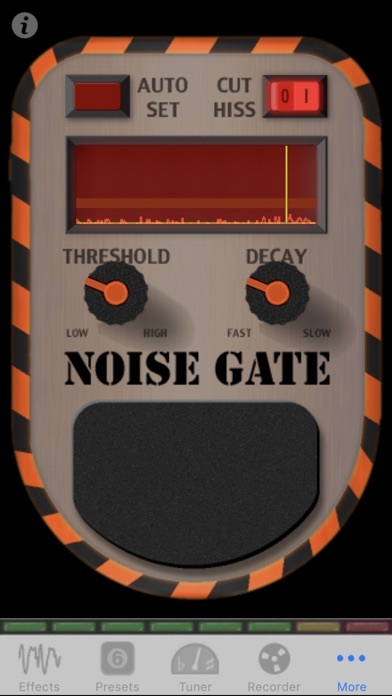 I still love it and use this app over other practice interfaces I own. The tuner and metronome are pretty mint. Nice concept but the distortion is very harsh. 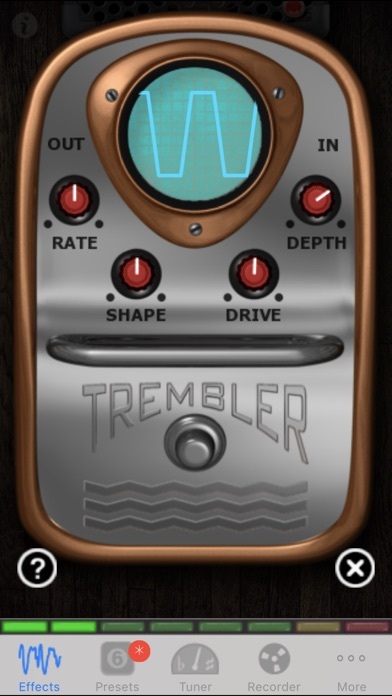 The tube screamer pedal sounds bad. Please update. Works well with my Apogee Jam, just have to remember to give the app access to the microphone, or it won't put out any sound. That being said, I gave it 4 stars rather than 5 because I think they need to add more stomp-boxes, and maybe some more amp models.